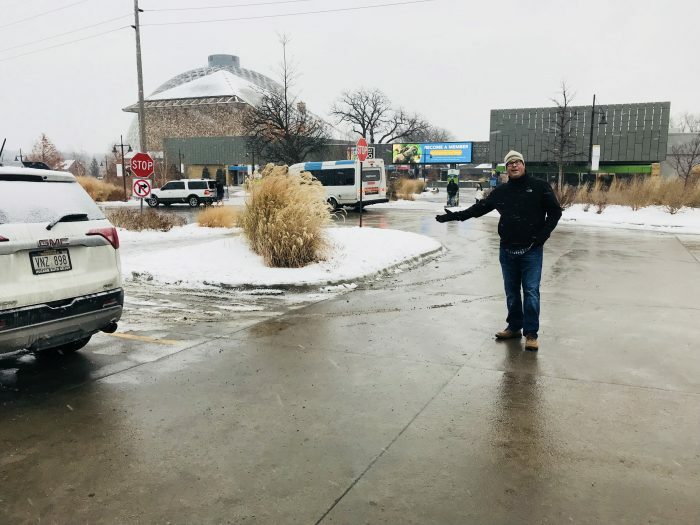 Unlike the busy summer months, when it is 15 degrees outside, you get rockstar parking at the Henry Doorly Zoo in Omaha, Nebraska. The day we were there, you could easily park in the front row just steps from zoo’s entrance! Here are five great ways to warm up in Omaha when it’s freezing cold outside. A few years ago, Meghan and I visited the Durham Museum and loved it. Ann had never been there, so we thought this would be a good first stop. The museum is in the beautiful, old Union Station building. When you walk inside, you’ll be impressed by this Art Deco masterpiece, and you’ll also be warm because heat is distributed through the benches in the grand hall much like the day the place was built. We got to meet the Graeve family who donated the Christmas tree for the Great Hall of the Durham Museum. On the day we visited, we saw the huge Christmas tree for that year and got to meet the people who donated it. Did you know that if you have a big pine tree in Omaha you don’t want anymore you can enter it into a contest and if it wins, the city will come remove it for you? What’s more, they’ll move it to this place of honor in the museum. This tree was courtesy of Dan and Carmelita Graeve. It was planted by Dan’s parents, Harry and Rita Graeve, about 40 years ago. 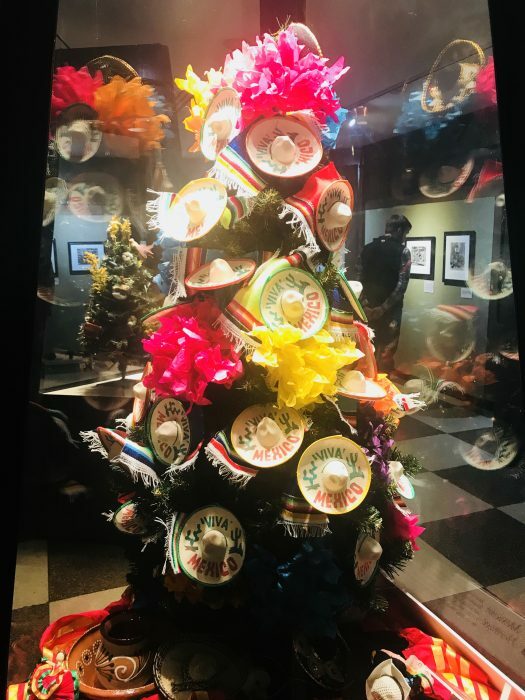 The Durham Museum had a display of Christmas trees decorated with themes from countries around the world. 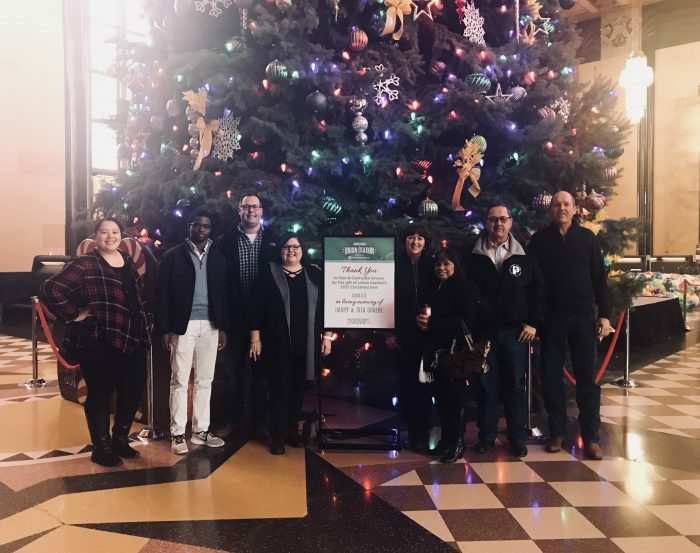 This tree honors Omaha’s Mexican community. 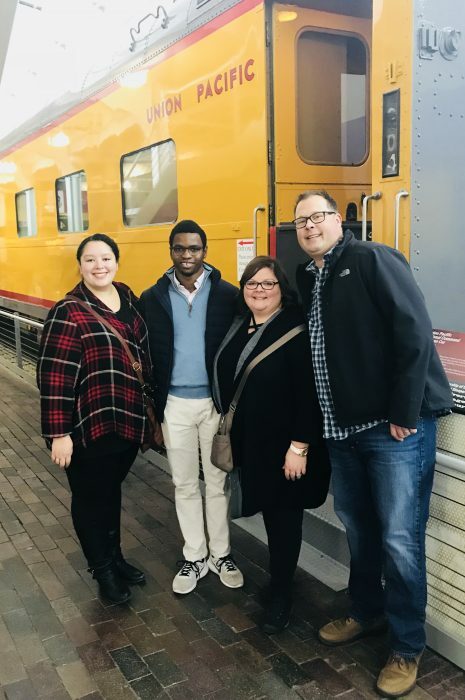 After checking out the ethnic Christmas tree exhibit, we headed downstairs where we got to climb aboard actual Pullman rail cars to see what passenger rail service was like as our nation grew. You can almost hear the china clanking in the dining car, and it’s fun to imagine how you might change into your pajamas in one of the sleeper cars. After deboarding the passenger section of train, we climbed up to look in a steam locomotive. Take a look in there and think of all the hard work it took to keep a train moving. We were able to go aboard and walk through these historic train cars at the Durham museum. From there, we wandered through displays seeing how homes, stores, businesses, and transportation have changed over the years from Native American life before the pioneers to modern day. We loved the display of Nebraska art. When we were there, the museum had a display of pictures taken in every county in Nebraska. 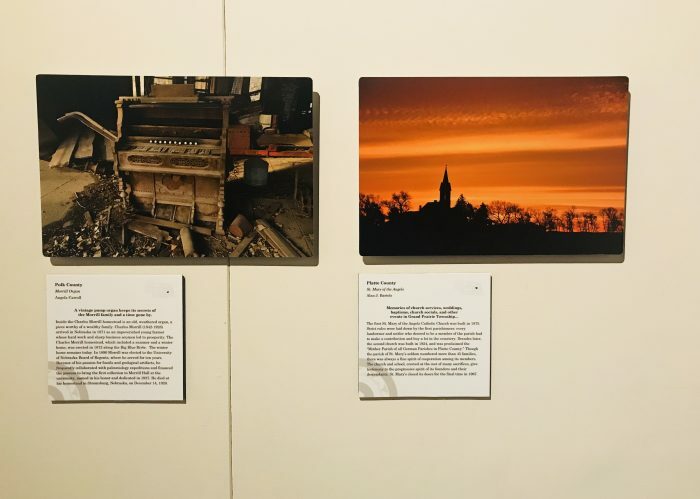 In celebration of Nebraska’s 150th Anniversary of Statehood, the Durham museum has displayed a photo from each of Nebraska’s 93 counties. The museum is also home to a world-class coin collection with coins dating back to Roman times. After exploring the exhibits, we stopped at the soda fountain, the same one used when this was a working train station, where Meghan and our friend Jen each had a root beer float and Ann and I got in touch with our mid-century selves and tried an authentic phosphate. Omaha is home to several other wonderful (and yes, warm) museums, including the Joslyn Art Museum, the Omaha Children’s Museum, and El Museo Latina, and KANEKO. 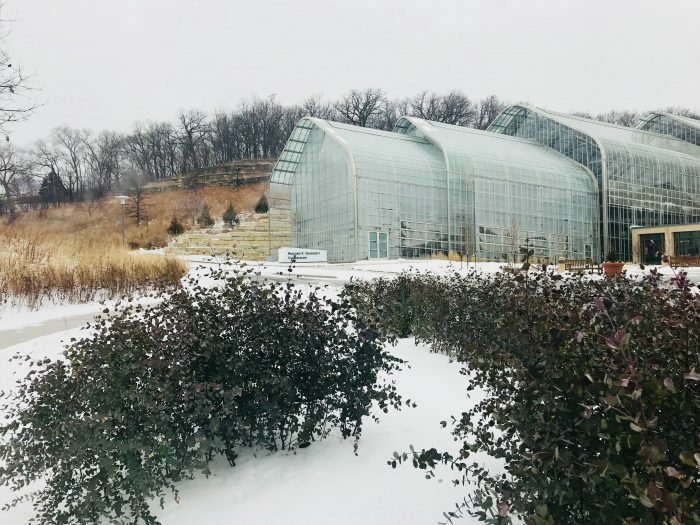 It might seem strange to list this as something to do on a cold winter’s day, but Lauritzen Gardens provides an indoor opportunity to do just that. 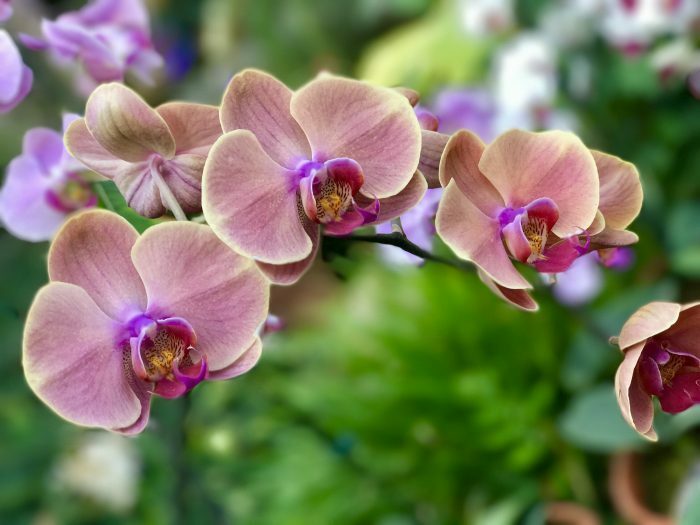 Ann and I love visiting conservatories and seeing the beautiful, unique plants there. I think of it as kind of a plant zoo. The conservatory at Lauritzen Gardens houses an oasis of warmth and green in the middle of a frigid winter landscape. Anyway, we like to wander along the paths inside and admire in the many species that have been planted and carefully cultivated here. From orchids to palms to fruit-bearing trees, the conservatory is a great place to see vibrant green life on a cloudy, cold Nebraska winter day. There’s nothing like seeing bright tropical plants to warm up a cold winter day. This is one of many beautiful orchids at Lauritzen Gardens in Omaha, Nebraska. At one point, I had to stop myself from picking a ripe lemon off a tree. We especially love visiting in the winter because it’s nice to take a break from the bleak landscape and be surrounded by vibrant green plants. 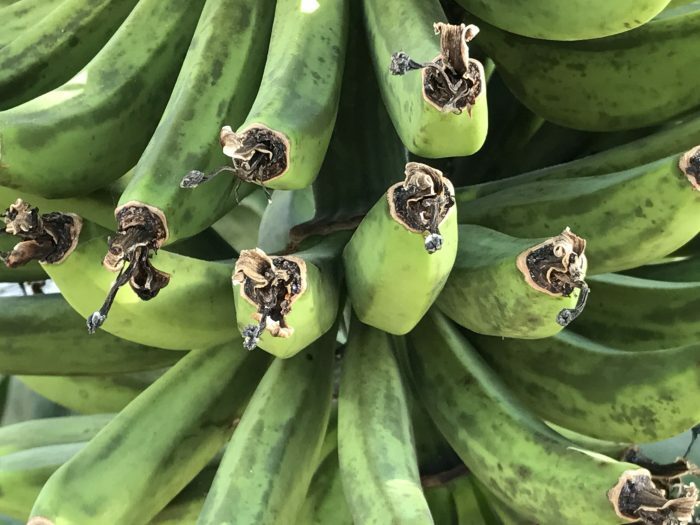 It was so great to see so much green, like this banana tree at Lauritzen Gardens in Omaha, Nebraska. Stepping out of the conservatory, we ran across a cold courtyard where we found they’d set up cedar trees with interesting homemade bird feeders. Apple slices, seeds, and peanut butter were just some of the foods out on the bird buffet. Instructions on how to make your own feeders were available as, well. 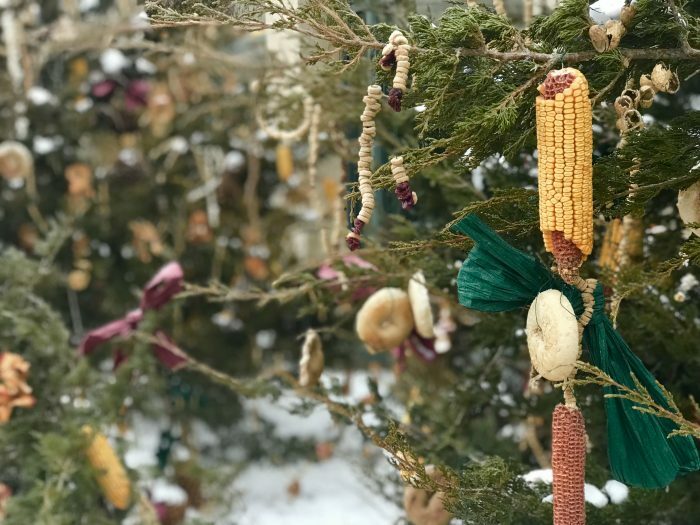 Homemade bird feeders adorn cedar trees outside the main building at Lauritzen Gardens. What was especially nice is that we could stand inside where it was toasty warm and watch the birds feeding outside in the cold on the other side of the window. Or the jungle. 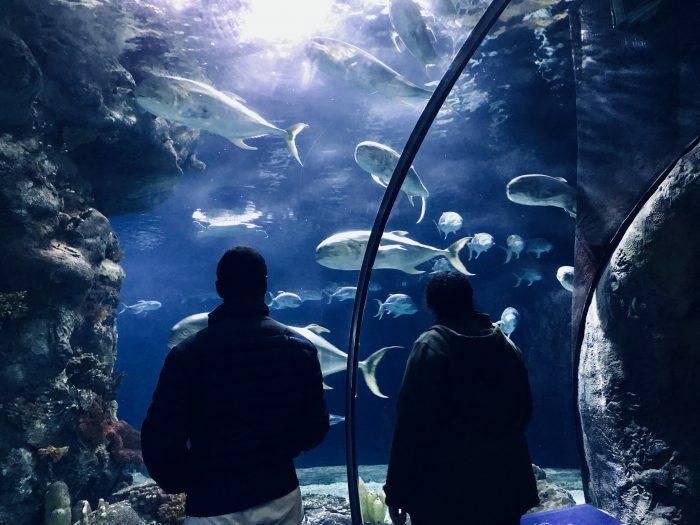 A summertime Omaha favorite, the Henry Doorly Zoo and Aquarium, is actually open year-round and has tons of indoor venues that are perfect for a cold day. 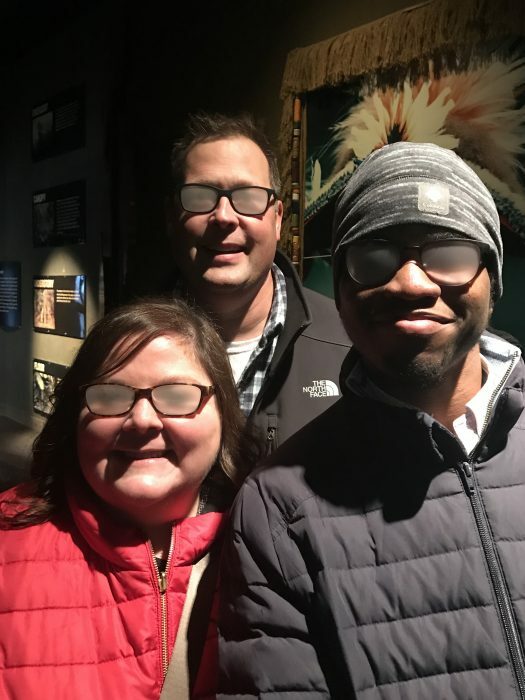 One of our favorites is the Lied Jungle, though when you walk in when it’s below freezing outside, your glasses will fog up. Just be prepared to stumble around for awhile until you can get your gloves off your hands and your glasses off your face. Be aware, your glasses are likely to fog up when you enter the Lied Jungle from the cold outside. Once your vision clears, it’s fun to watch monkeys swinging on the vines in their habitats while tapirs wander the ground below. The building was designed in such a way that you feel like you’re in a jungle and so that the animals are contained to a certain areas without there being many real enclosures. A monkey sits on a branch of an artificial tree in his habitat in the Lied Jungle at the Henry Doorly Zoo in Omaha. We donned our winter gear, left the jungle, and headed over to the aquarium where we sat watching penguins play in their enclosure. We timed our visit so we could watch feeding time. Because the crowd was extremely light on a cold day, we could actually sit on a bench and watch without a thousand people jostling us around! It was very exciting. 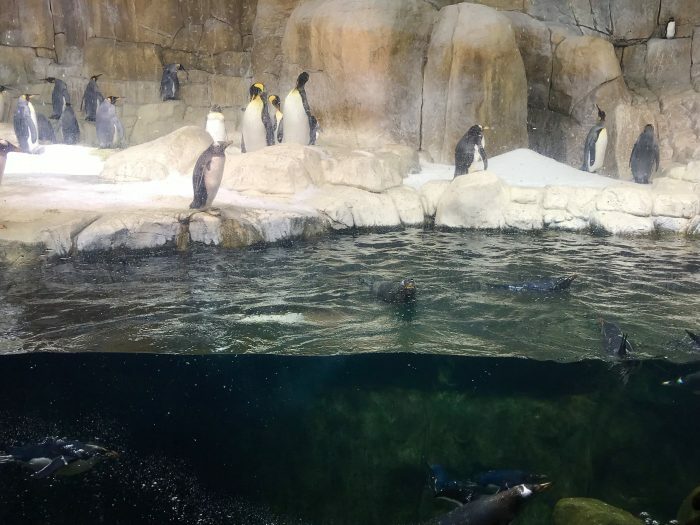 We have always been big fans of the penguin exhibit at the Henry Doorly Zoo in Omaha, Nebraska, but it was especially nice to be there when it wasn’t overflowing with people. From there, we moved on down a glass tunnel with sharks, rays and other large ocean fish swimming over our heads. Samuel and Meghan stand in a glass tunnel surrounded by fish in the aquarium at the Henry Doorly Zoo in Omaha. Again, we could really stop and enjoy the experience of watching these huge fish swim and at times, it was actually quiet. Our next stop in the aquarium is always the jellyfish. Ann loves their smooth, fluid movements. Watching them is always a calming experience. 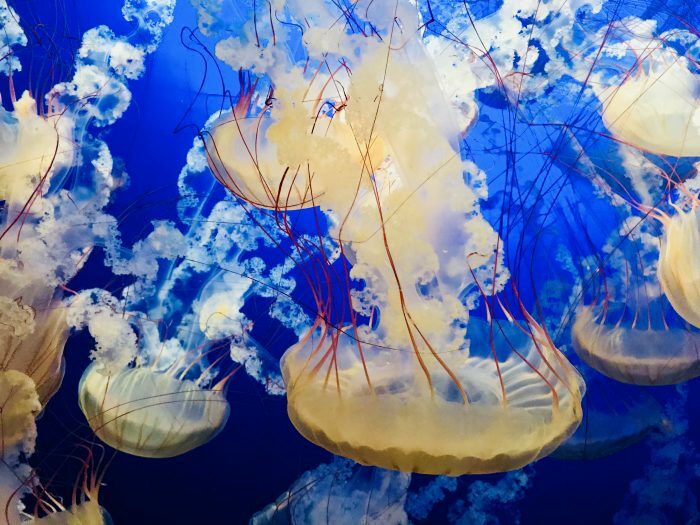 Ann could sit and watch these jellyfish for hours at the Henry Doorly Zoo and Aquarium in Omaha, Nebraska. At the Desert Dome, we were pleasantly surprised to be the only ones in the foyer and opted to take the staircase down to the Kingdom of the Night display located on the lower level of that building. That exhibit is dark because the zoo wants the nocturnal animals to be active while visitors are present. When you go, see if you can spot the albino alligator. We didn’t do it on this trip, but the Lozier Giant Screen Theater is another zoo venue for cold day. 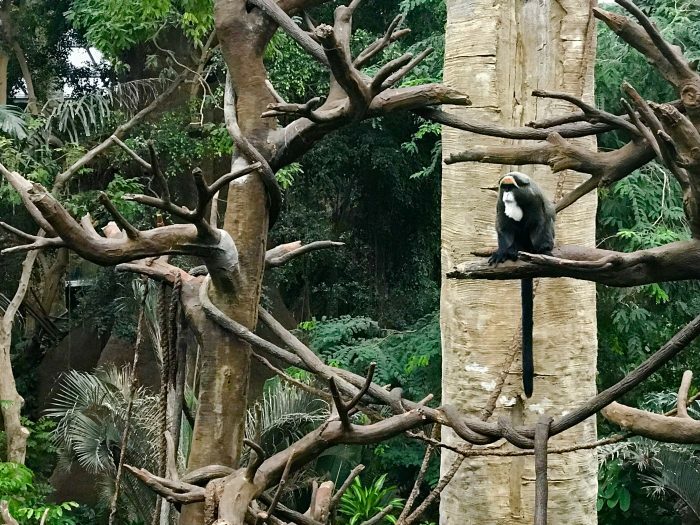 Yes, a visit to the zoo includes some time spent outside moving from building to building, but you’ll be inside far more than you’ll be out, and there are far fewer people than normal. 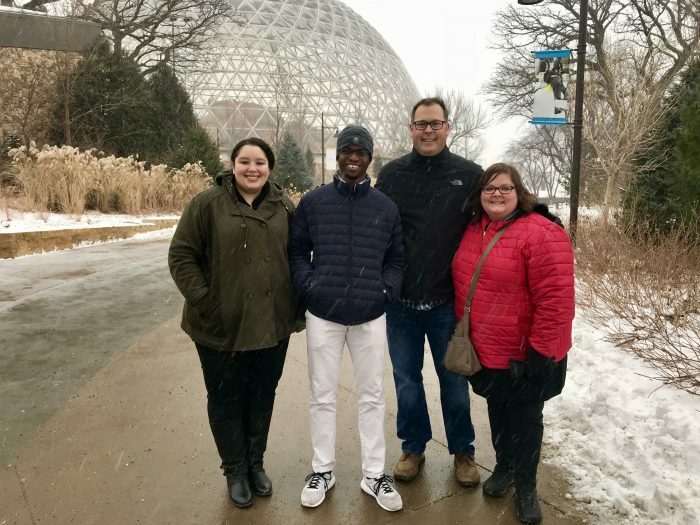 We paused for a picture in the frigid snow outside the Desert Dome at the Henry Doorly Zoo in Omaha. More than 100 years ago Father Edward J. Flanagan began ministering to the homeless in Omaha and in 1921, he purchased the Overlook Farm which became the permanent site of Boys Town. 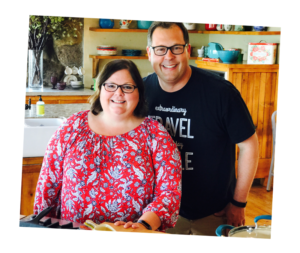 Since then, Boys Town has grown into a national organization that has given new hope to tens of thousands of young people through its life-transforming programs. A visit to Boys Town Village in Omaha is heart-warming no matter what time of year you go. We suggest starting your visit with a warm pancake breakfast at the cafe on campus. The cafe is open Monday through Friday from 6:45 – 9:45 a.m. After that, visitors can enjoy a self-guided tour of the campus from the comfort of your own heated car for no fee or for just $5, a volunteer will join you for a guided tour of the grounds and museum. 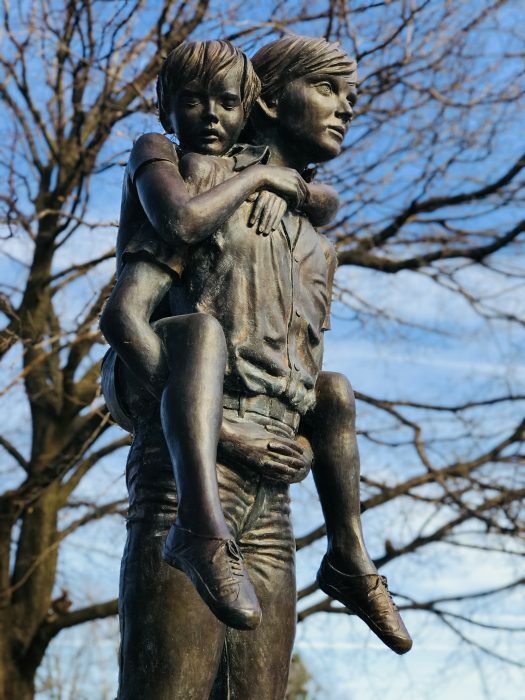 The famous “Two Brothers” statue at Boys’ Town. In addition, tours are available of Father Flanagan’s historic home, and winter is a great time to visit, as at Christmastime it is filled with traditional 1920s Irish Christmas decor. The Boys’ Town Museum is home to historic artifacts from Boys’ Town’s and Omaha’s history. 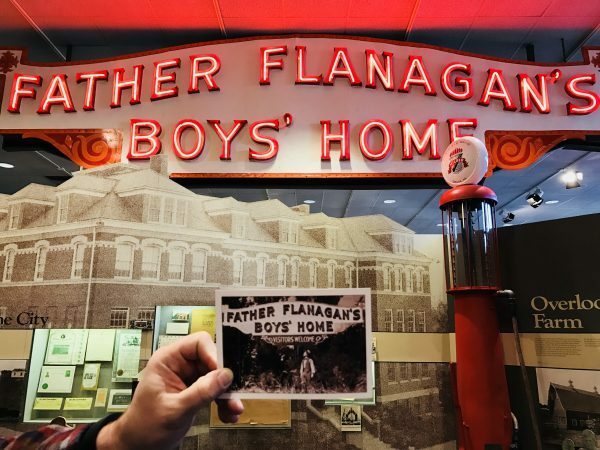 Both the self-guided and guided tours end at a terrific museum that has artifacts from the movie, Boys Town, starring Mickey Rooney, as well as exhibits from the history of this Omaha landmark. The gift shop at Boys Town Village also includes the world’s largest ball of stamps, which is quite a sight to see. 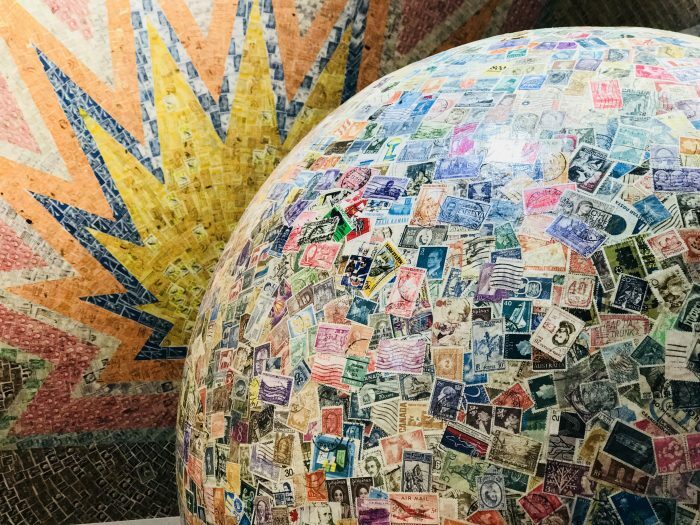 The Visitors’ Center at Boys’ Town houses the largest ball of stamps in the world. A good ribeye steak, cooked to medium rare, is a treat any time of year but there’s nothing better when it’s cold outside, already dark at 5 o’clock, and you don’t feel like cooking or doing dishes. We love a good steak, and Omaha is home to some of the nation’s best beef. 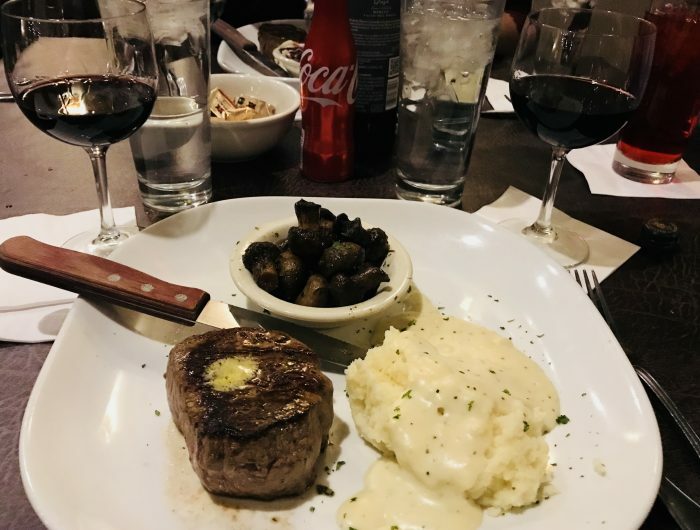 Ann always loves a good filet mignon like this one with mashed potatoes and a side of mushrooms from Gorat’s. Omaha has some fantastic steakhouses for a variety of budgets and palates. One of my favorite steaks in Omaha is the whiskey ribeye at The Drover. 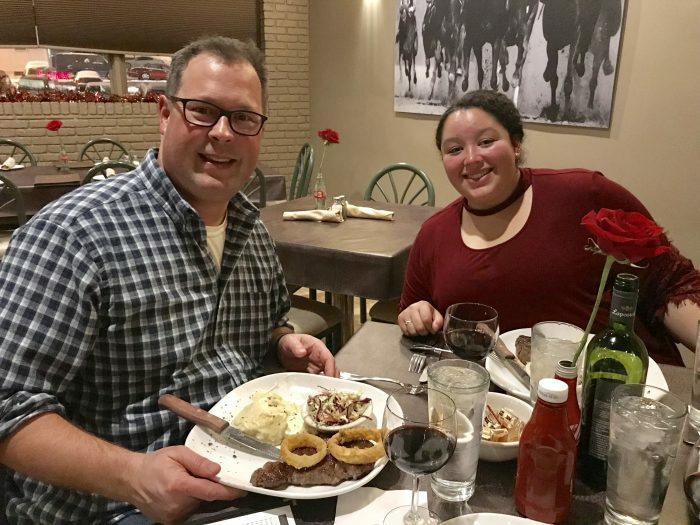 A classic steakhouse venue, it’s old and dimly lit with an experienced staff that works hard to make sure your steak and experience are second to none. The marinated steaks are soaked just 15 minutes (when you place your order) so the flavor of the beef is enhanced, but not overpowered. We’ve enjoyed several other steakhouses in Omaha, as well, including billionaire Warren Buffet’s favorite, Gorat’s. Steve and Meghan show off their whiskey ribeye steaks from Gorat’s. Other local steakhouses with good reviews include: Brother Sebastian’s, Cascio’s, Johnny’s Cafe, and Anthony’s. 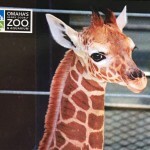 For more information about things to see and do in Omaha, Nebraska, CLICK HERE! Have you been to Omaha in the winter? What are your favorite things to do when it’s freezing there? Great small getaway. Thanks for sharing.